Video lead capturing landing page design for promoting your school and courses online and capturing email as well as phone call leads. Videos have proven to be a very important element for conversion. 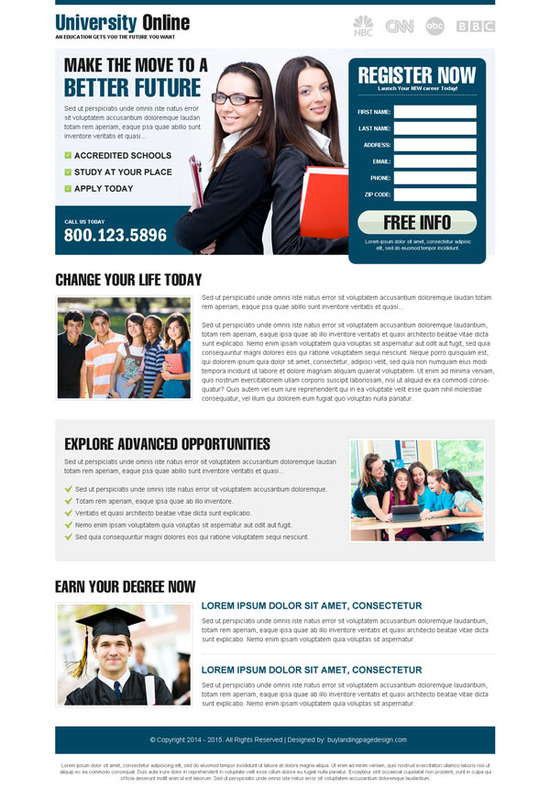 Clean and strong language school landing page design with an appealing call to action buttons throughout the landing page to make visitors click on the buttons. 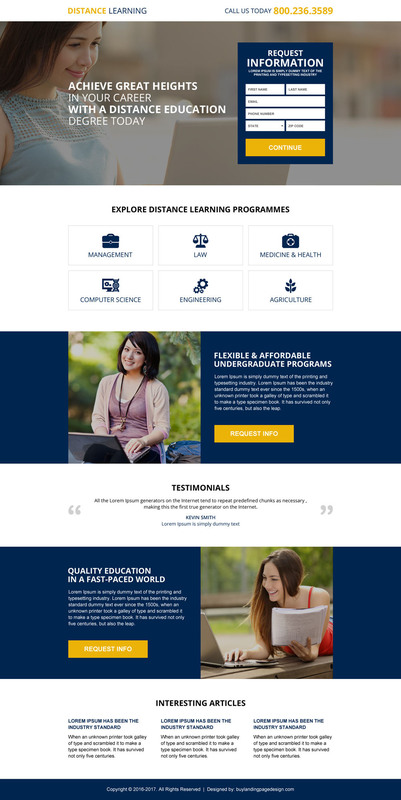 Modern, clean and user-friendly landing page design for promoting and capturing email and phone call leads for distance education. 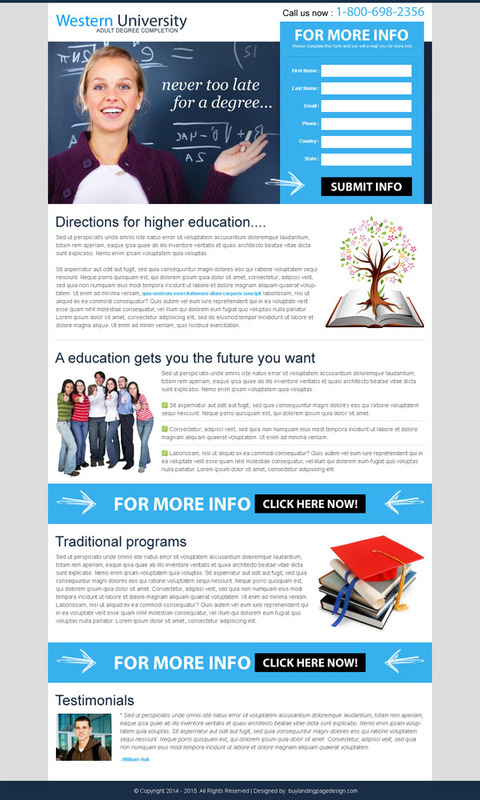 Distance education learning programs promotion landing page design for boosting your conversion rates effectively. 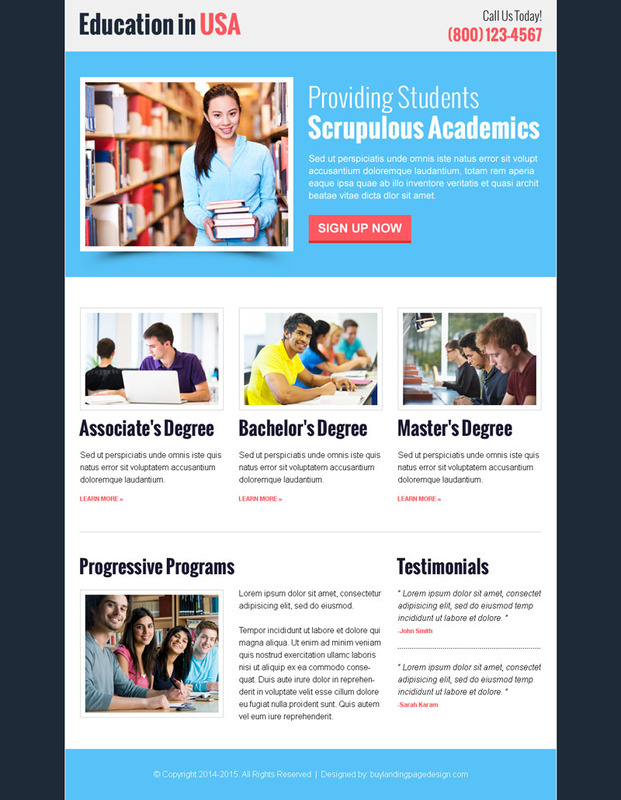 Simple, clean and converting sign up generating landing page design for capturing positive and quality lead for various education degrees online. Simple and minimal online application lead information capturing landing page design for promoting your university and its courses online. Capture quality email, as well as phone call, leads and get positive boost in your conversion rate. 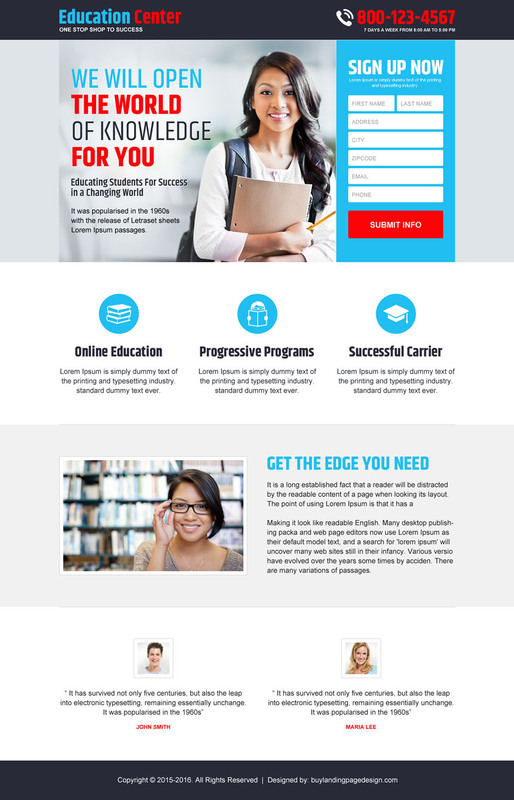 Modern, appealing and effective education center landing page design to capture quality sign up from interested students for various education programs and online courses. Online university leads registration capturing for affordable and quality american degree programs online. Feature your degrees and courses online and capture best leads for your online university. 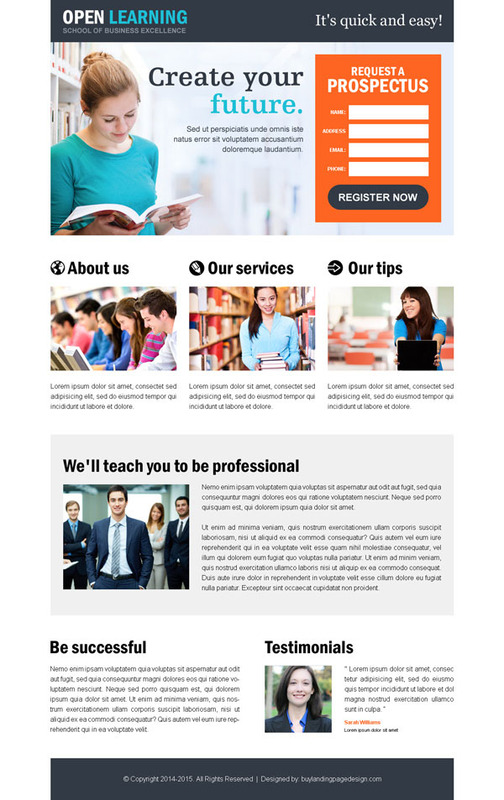 Visually appealing, attractive and modern small registration form landing page design for school of business excellence to capture user details and convert them into leads. 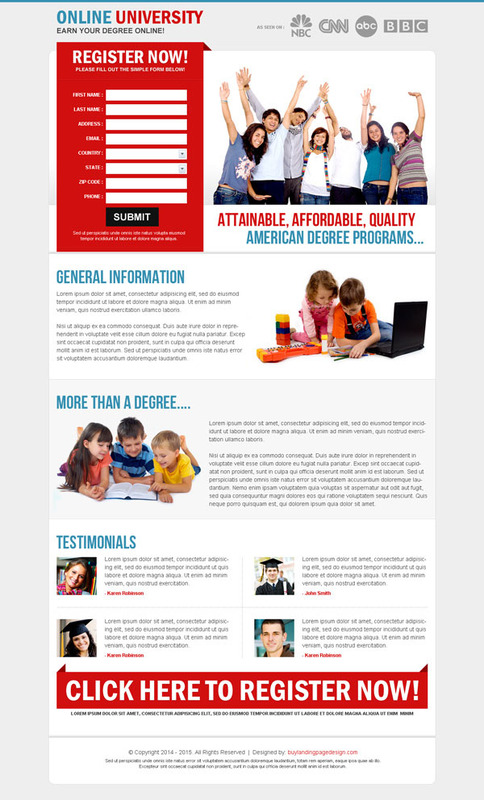 Western university degree completion lead capture form simple and effective landing page design. If you are looking for a simple, minimal and user friendly landing page design with strong call to action button then this landing page fulfills your requirements completely. Capture quality phone call leads and email leads by using our clean and effective online registration generating landing page design. 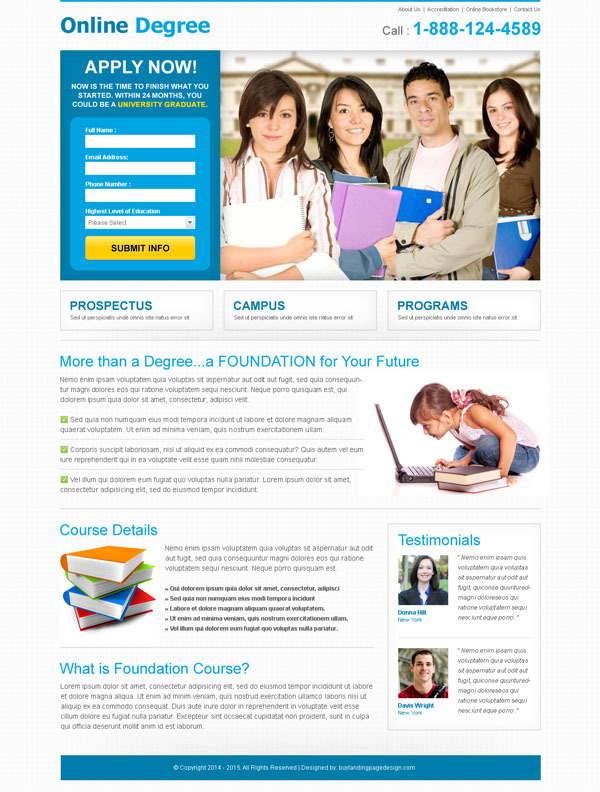 Capture more quality leads and promote your courses and education programs online by using our effective landing page design.